Put the pet carrier in plain sight for a few days prior to a scheduled veterinary appointment (or any event where you will be putting your cat in there). Put a comfortable blanket or towel inside of the carrier. Toss a couple of treats in there or a favorite toy to entice your cat to go in and allow him/her to go in and out freely for a couple of days. Spray the inside of the carrier and towel or blanket with Feliway to help calm the cat down when it's time to get in the car. You can also spray it once a day for a few days before the appointment to get them used to it. 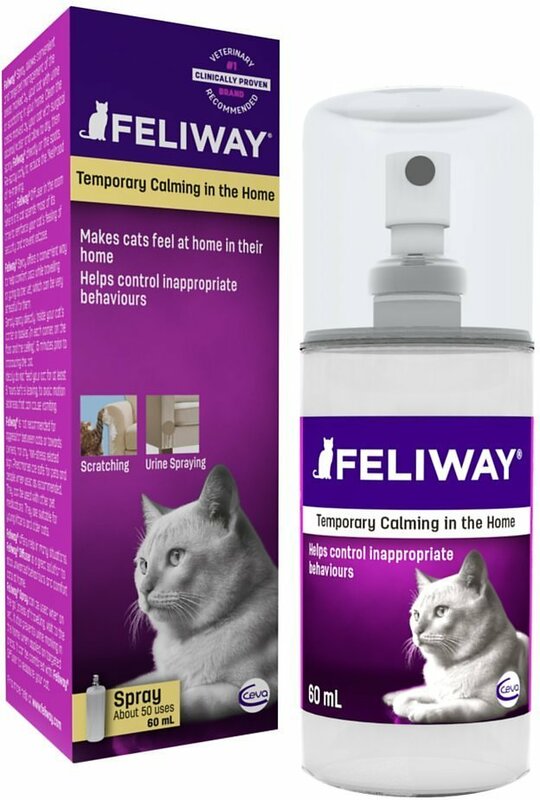 We also carry Feliway wipes, those are a one time use wipe that you would use on the inside of the carrier an hour or two prior to leaving for your appointment. If your cat is not a great traveler in the car, you can drape the top of the carrier loosely with a towel or blanket sprayed with Feliway. When you schedule your appointment with us, if your cat doesn't do well in the waiting room with dogs, let us know and we can arrange to show you right into an exam room.